Revolutionary and ruler, Marxist and nationalist, liberator and despot, Mao Zedong takes a place among the iconic leaders of the twentieth century. In this new book, Maurice Meisner offers a balanced portrait and in-depth account of the man who defined modern China. Revolutionary and ruler, Marxist and nationalist, liberator and despot, Mao Zedong takes a place among the iconic leaders of the twentieth century. In this book, Maurice Meisner offers a balanced portrait of the man who defined modern China. From his role as leader of a communist revolution in a war-torn and largely rural country to the disasters of the Great Leap Forward and the Cultural Revolution, the relationship between Mao's ideas and his political action is highly disputed. With unparalleled authority, Meisner shows how Mao's unique sinification of Marxism provides the key to looking at this extraordinary political career. The first part of the book is devoted to Mao's revolutionary leadership before 1949, in particular the influence of the liberal and anarchist ideas of the May Fourth era, his discovery of Marxism, Leninism and his conviction that peasants held the potential for revolution. In the second part, Meisner analyses Mao's early successes as a nationalist unifier and modernizer, the failure of his socialism and his eventual transformation into a tyrant. Preface. Acknowledgements. Map. A Note on Chinese Names. 1. Youth (1893-1921). 2. Communism and Marxism. 3. Peasant Revolution. 4. Nationalism and Social Revolution, 1935-49. 5. Mao Zedong in Power: Nationalism and Modernization (1949-57). 6. Utopianism. 7. The Cultural Revolution and the Exhaustion of Maoism. Epilogue: Progress and Tyranny, Marxism and Maoism. Notes. 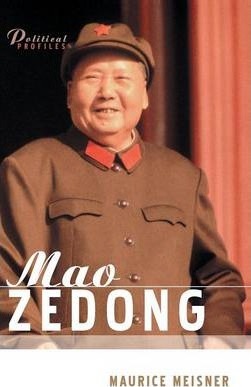 Writings of Mao Zedong. Bibliography. Index. Maurice Meisner is Harvey Goldberg Emeritus Professor of History at the University of Wisconsin, Madison.